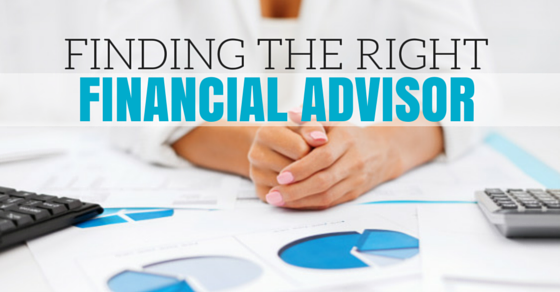 At the beginning of the process, you should think about what type of financial advisor you want to meet with: fee-based or commission-based. Think about what you’re looking for. Are you seeking help with investments and retirement planning, or simply someone to go to when you have questions? Some advisors include financial planning in their fees for managing your investments, while others charge a separate fee or hourly rate for advice. Ask friends, family or colleagues for recommendations. Obviously, you’ll be more likely to find somebody who will work with you if your friends, family members or colleagues are in a similar tax bracket as you are. Are you looking for help with investments, family planning and retirement planning, or simply for someone to go to when you have questions? Some of the best financial advisors include financial planning in their fees for managing your investments, while others charge a separate fee for advice. As for how much you’ll pay, it will vary depending on where you live and the scope of the work you’re asking for. Some top financial advisors may charge a couple thousand dollars for a comprehensive plan; others may charge around $200 to $400 an hour to dispense financial advice.